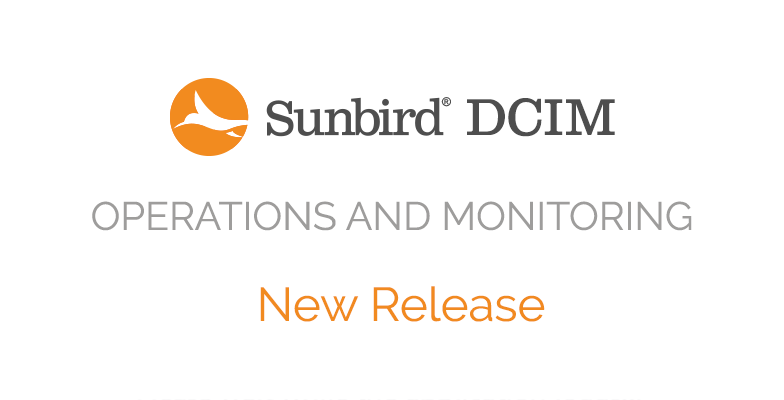 We’re pleased to announce that the newest versions of Sunbird’s Data Center Infrastructure Management (DCIM) Operations and Monitoring software are now generally available for download. Want to upgrade and see what's new for yourself? Simply download the update files from Sunbird’s support portal. This newest version is comprised of dcTrack® DCIM Operations 5.2.2 and Power IQ® DCIM Monitoring 5.2.3. These maintenance releases address a small number of bug fixes to provide you with the best user experience to date. For more information, see the release notes on the support portal. To download the upgrade for either product, you will need to have a valid maintenance contract and user login. To create an account, visit the support portal. Your email address and associated company information will be validated. Want a walkthrough of what's new? Schedule a demo with one of our DCIM experts.